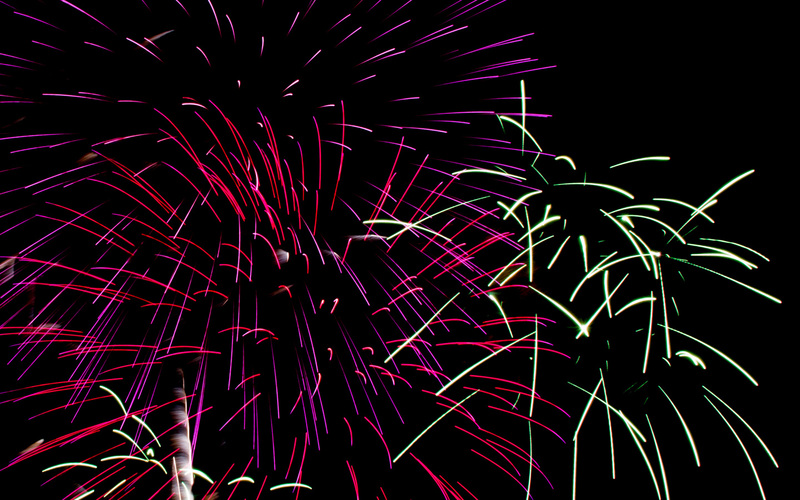 Fourth of July Fireworks Safety | Canary Blog. Every Fourth of July, Americans celebrate our nation’s independence in a number of ways. Some folks attend local parades, others fire up the barbeque, and of course there’s Nathan’s Famous International Hot Dog Eating Contest on the Coney Island boardwalk. No Fourth of July celebration would be complete, however, without a dazzling display of fireworks. But why do we celebrate freedom with sparklers and Roman candles? It’s all because of America’s second president. John Adams, one of the lead architects behind America’s push for independence from the British Empire, wanted to celebrate the occasion in a monumental way. In a letter dated July 3, 1776, John Adams wrote to his wife, Abigail Adams, that this historic moment should be, “solemnized with Pomp and Parade, with Shows, Games, Sports, Guns, Bells, Bonfires and Illuminations from one End of this Continent to the other from this Time forward forever more.” Although the Fourth of July was not recognized as an official federal holiday until nearly one hundred years later, we have been celebrating with bombs bursting in air ever since. Purchase fireworks from reputable sources to guarantee you’re getting what you pay for. Many states require a permit or license to sell fireworks, so there’s a good chance that guy selling mortars out of the trunk of a car might not be legit. Are the fireworks you bought “safe and sane,” a term generally used for fireworks that don’t fly, explode, or use advanced pyrotechnics? Are you using serial fireworks instead? Each kind requires its own prep, so it’s best to answer these questions long before you light a fuse. Read instructions and pay attention to warning labels. The perfect place to launch fireworks is a paved open space like a parking lot or driveway. If you’d rather stage your show in the backyard, just make sure you clear away any dry debris. Keep a bucket of water nearby or a garden hose handy to put out used fireworks and douse any dud before throwing them away. While it’s great to share your show with kids, only adults (or supervised teens) should actually handle fireworks. Store unused fireworks out of the reach of children. Light them up one at a time, and keep a good distance. Protective eyewear is also a good idea. You can use regular glasses or sunglasses, but wrap-around safety glasses are best. If you get an eye injury, head straight to the emergency room, and don’t rub or put any pressure on your eye. It’s tempting to make the most of every last explosion, but don’t relight duds. Kids love sparklers, but they can burn at up to 2,000 degrees! Teach your children to be careful and make sure the sparks don’t land on skin. Pets have sensitive ears, and loud noises can easily startle them. Leave dogs and cats at home, and keep them indoors when using fireworks. Before you throw away used fireworks, hose them down with plenty of water, and remember to dispose of them in metal trash bins. Accidents happen, so if you or a loved one gets burned, the Mayo Clinic has some great advice. These tips will ensure that when you look back on this past Fourth of July, the only emergency you will remember is running out of burgers for the grill. Happy 4th! What’s your favorite Fourth of July memory? Let us know in the comments!